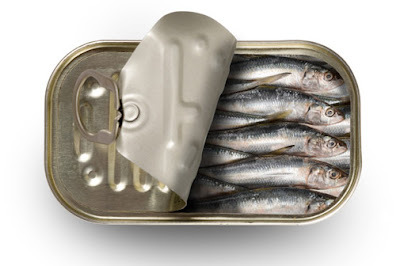 Canned sardines manufacturers in Morocco has exported their product worldwide for years. Morocco is the largest canned sardine exporters in the world and they also the leading sardine supplier in the Europe area. Sardine fish represent about more than 50 percents of Moroccan fish catch and they also used it largely for their domestic canning industry. Each year, they can process around 600,000 tons of fresh sardine fish to be sold in the global market. 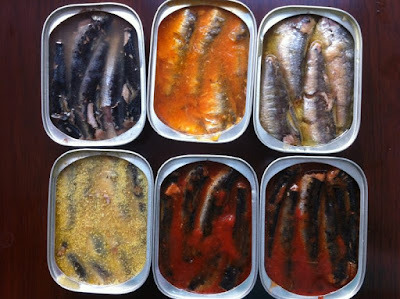 Canned sardine in Morocco can be cooked into various styles. The most popular sardine recipes including sardine balls in spicy tomato sauces and fried stuffed sardines. Moroccan also provides very strict quality control and standard for each of the canned sardine manufacturing process to ensure the quality of their products. 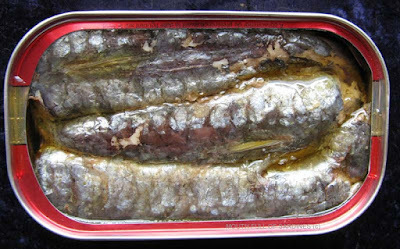 Learn more information regarding the best canned sardines manufacturers in Morocco below. Most of canned Mediterranean sardines found in the market particularly US market comes from Morocco suppliers. Many of the canned sardines are packed in vegetable oils, but other seasonings are available as well. If you do not know yet, most of the raw material fish is processed with two different methods which are the Norwegian method and Mediterranean method. With the Norwegian way, the sardine fish is caught and held alive till their guts are empty, after that the fish is smoked before beheaded. Meanwhile, with the Mediterranean method just directly gutting and beheading the fish. 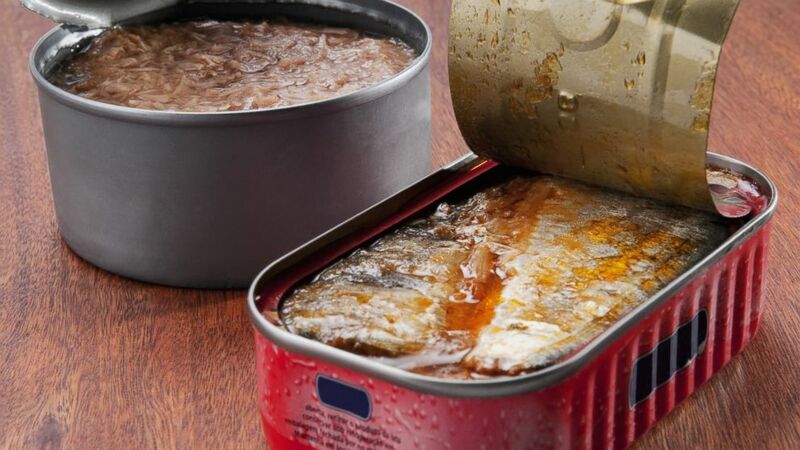 After that, the fish meat is brined to ensure the freshness of the sardines and then packed in the clean can. The can will be steamed and then drained. Liquid will be added to the cans such as oils, sauces, water, brine, and many more. Once they are filled, the cans will be sealed and heated with pressurized retort. 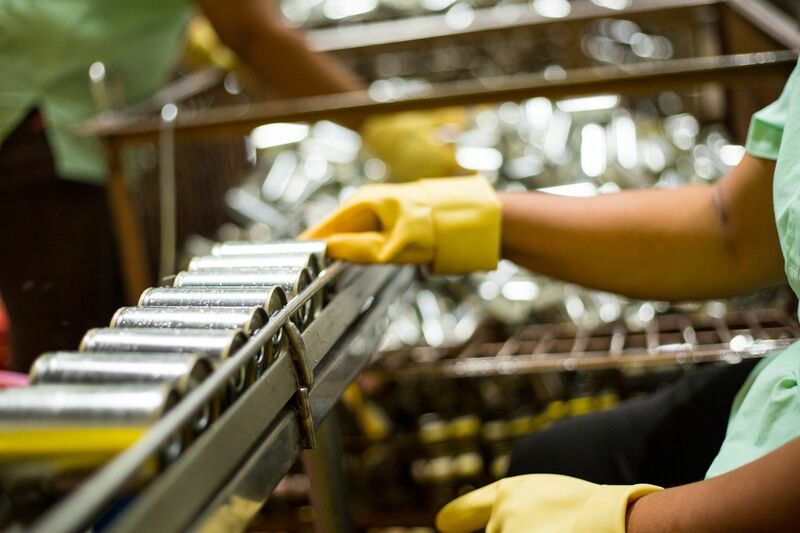 When the cans are cleaned once again, they are packaged and delivered worldwide. Before that, the cans are mostly stored into some clean storage to make the flavor develop before being shipped to various markets. As one of the largest canned sardine producers, Morocco has their own way in produce the best and high quality canned fish. Canned sardines manufactures in Morocco used modern technology when processing the raw sardines. They provide high quality lines in order to produce sardine in can from freezing machine and method to the delivery process. Most of their products are sold worldwide to various markets, retailers, distributors, wholesalers, catering, and so on. There are many varieties of Morocco sardines including their brands that produced by certain canned sardines manufacturers in Morocco. Millions of sardines are canned each year and they are packed in water, oils, brine, and other additional seasonings to add the flavor including tomato sauce and mustard sauce with or without hot chills. Sardines can be found thorough ocean and the sea in the world; they are varying in types and taste. For example, sardine that are caught from Mediterranean have different taste compared with Baltic sardines fish. However, when select the best canned sardine suppliers in Morocco you need to make sure they are come from good manufacturers that source their sardine fish from good place as well. Most of the sardines are frozen before being processed in the facilities. Some people might in doubt buying sardines from Morocco because they are not be able to tell where the factory sourced their raw material and how they processed it till they are ready to be marketed worldwide. This is why, it is always important to track the record of their manufacturers before you order from them. But, since Morocco is the leading canned sardine manufacturers that sold many products in a great number of amounts in European market, you can say they have high quality and standard in producing their canned sardines. 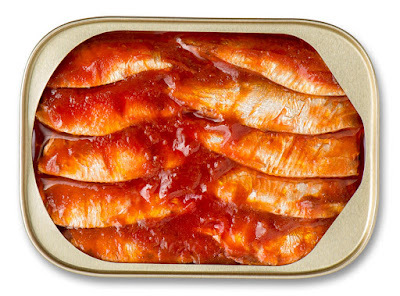 European market has strict terms and conditions when it comes with imported canned seafood product. Below are several methods that might be used to produce the canned sardines. You can also use this information as reference to select the best canned sardines manufacturers in Morocco that suitable with your taste. 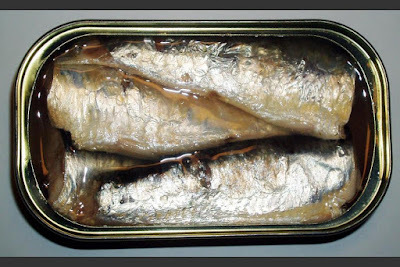 Most of the canned sardine manufacturers in the world are usually frozen their sardine before they are processed into canned seafood product. It might be impossible to tell which of the Moroccan manufacturers froze their fish before canning only by check the label. However, you may be able to guess it by looking on the appearance of the sardine fish in the cans; if the sardines are not intact within the tin then they are likely frozen before canning. There are smoked and un-smoked canned sardines. The different is certainty obvious and usually the manufacturers provide some information about it. But, you need to make sure that they are naturally smoked. There are manufacturers that will use liquid smoked before canning process. 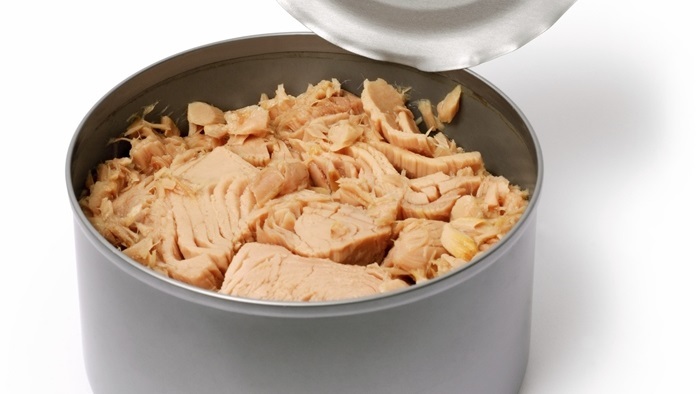 This liquid smoke may taste fine for other products; however it may changes the texture of the canned fish in the process as well as other ways. Liquid like oils will be added to the can of sardines, of course there are also other options such as water and brine, but both of the taste does not as good as sardines in oil. Lighter oils tend to be better than heavier oils such as soybean oils since most of them will not hold the flavor perfectly. Sardine fish is mostly small in size and thus they have minimal canning process. They are sorted and then beheaded before canning, that’s it. Unlike other bigger fish such as salmon and tuna, the more the sardines are processed and being handled then worst the quality of the sardine fish. Some of the manufacturers can do bad sorting process by size and quality. In conclusion, when you are looking for canned sardines manufacturers in Morocco, you need to be able to tell how the handle and process their canned sardines. They need to minimally handle the fish, sorted rightly, and packed tightly. 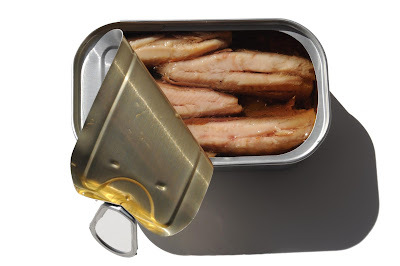 How to select canned sardines suppliers? 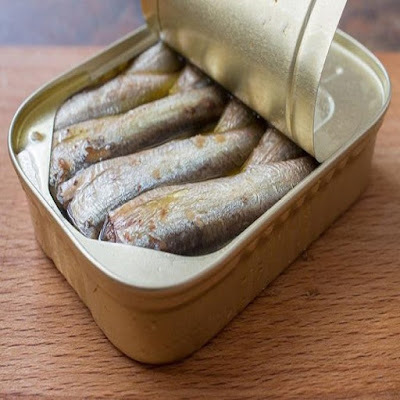 Canned sardines suppliers offer various products of sardines in can packaged in many styles including canned in oils, brine, water, and other seasonings to bring more flavor. Sardine is a small fish and suitable best for canned seafood product. 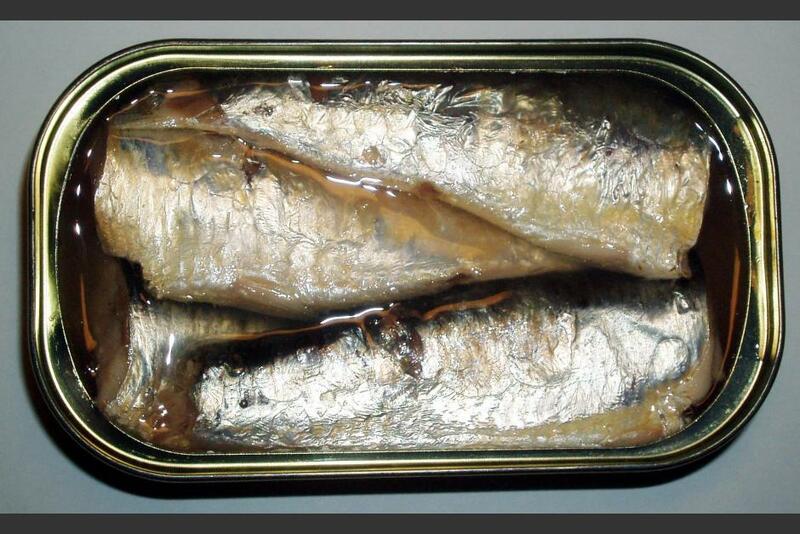 This sardine is mostly processed using machine in facilities from cleaning to cooking and from packaging to delivery. Sardine is one of the top seafood products in fish industry beside tuna, mackerel, salmon, etc. Most of sardine suppliers come from Asian countries including Indonesia, Philippine, Thailand, etc. It is might be confuse you how to choose the best canned sardines suppliers. But do not worry because you can determine ‘which is the best sardine supplier’ with three important points. Looking for trusted sardine supplier might be hard if you do not know their history. That’s why; you better look for a supplier which already runs their manufacturers for a long time. This will give you enough resource to research their track record. You can find most of the testimonies via online website, from forums, etc. If you have some recommendation from close person then you still need to do additional research to make sure that you really get a good supplier. When you already listed potential trusted canned sardines suppliers and perhaps you find not just one but several suppliers from different countries, you need to ask them some specific questions. That’s including the sustainability meaning that the factory need to have sustainable and eco friendly sardine caught method which not harms other oceanic animals or overall environment. 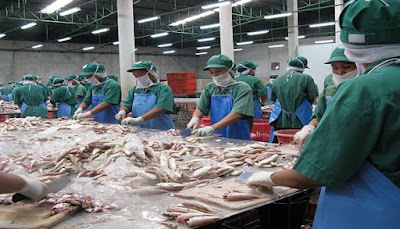 Moreover, you also need to get a factory that sourced a good, safe, and healthy sardine fish that edible to be consumed. So, sardines are already cheaper compared with other canned fish like tuna or salmon. However, there is no wrong to get discounted price especially if you want to buy in bulk order. More important point is that whether they able to ship to other countries. This is particularly if the buyers are importers since there are lots of terms and conditions required by the exporters so they can deliver the canned sardines outside of their countries. 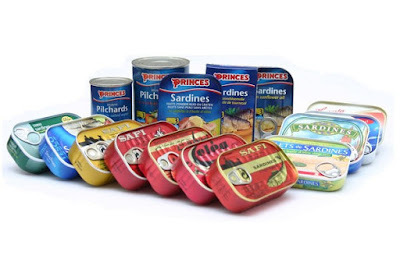 Why you need to choose canned sardines suppliers from Indonesia? 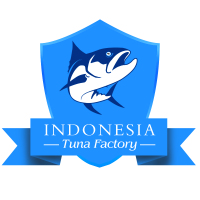 We recommend you to order from Indonesian canned sardines suppliers because they offer good quality canned sardine product guarantee to be safe and edible. Indonesia is one of the largest sardine producer countries and sardine stock in there is really abundant. Sardine is also a popular product in Indonesia especially in the form of canned seafood. Indonesian people love sardine because it is a small and healthy fish with soft texture and delicious taste. 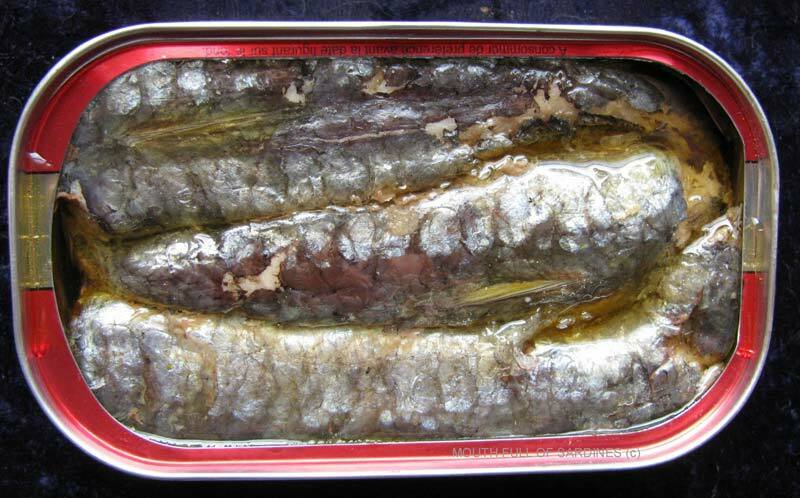 Canned sardine in Indonesia can be purchased mostly at grocery stores or supermarket. 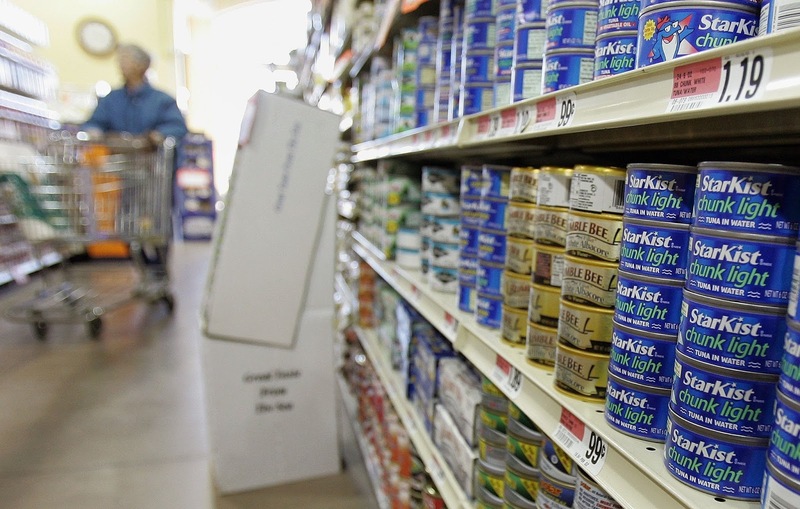 They are placed on the shelf along with other canned seafood product. If you looking for canned sardine product then you can select sardine suppliers from Indonesia. Why? Producing superior canned sardines required a standard in all the factory process. Most of the raw sardine, before put into cans, they are all inspected one by one to ensure the quality of the fish. Canned sardines suppliers Indonesia also make sure to select only good raw sardine fish and they are immediately frozen after caught to keep the freshness. They are processed with high technology and cleaned manually to produce a safe and clean sardine. They are also cooked in high temperature steaming and sterilized machine to kill the bacteria that might harm the product. If you bored with sardine packaging styles in oils, brine, and water, you totally going to love Indonesian style canned sardines. They are available and come with many Indonesia seasonings style which maybe you never try before. 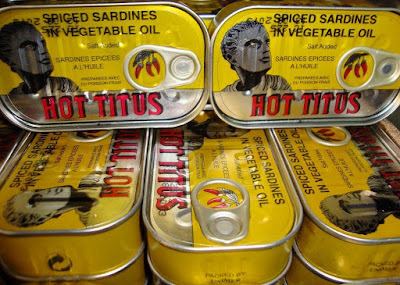 If you want to try sardines with Indonesia’ spices, you can always order them from canned sardines suppliers Indonesia. You do not need to worry with canned sardine from Indonesia. They are all safe and edible to be consumed. When the sardine required for export import transaction, they are made with international standards. Top importer countries such as Europe and America are also order canned sardines from Indonesia. You can tell that Indonesia sardine suppliers really understand the need of high quality sardines for these countries as well as other importer countries. If you looking for cheaper alternative of salmon and tuna, you should pick sardine! 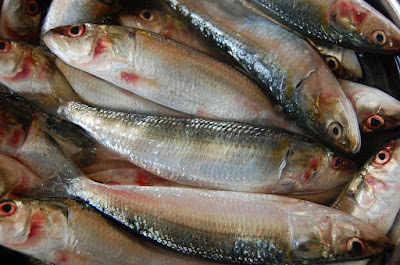 Sardine is a tiny fish in size and they are mostly sold in affordable price, really suitable for low budget seafood. Sardine is also a simple meal, you can cook the sardine in many ways, added them to your salad or sandwich. If you want to have quick and cheap meal but healthy food, then choose sardine. Sardine is one of the healthiest seafood ever, since their size is mostly small compared with other predatory fish like salmon or tuna, the mercury level of sardine is really low. The level of mercury is even lower than tuna and salmon. Sardine is on the low rank of ocean food chain and thus they are mostly less contaminated by mercury than other bigger fish. Sardines are the safest fish you can have anytime and anywhere. It is recommended to eat 3 to 4 of canned sardines a week. Sardines are rich in omega-3 fatty acids as well. It is better to gain omega-3 from the fish directly than supplementing your body with oil fish product. Eating small fish but packed with high omega-3 is good for your body. 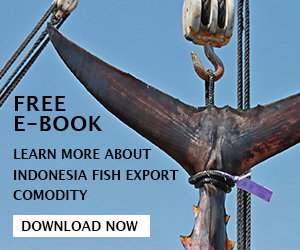 You can order now by contacting canned sardines suppliers from Indonesia. Canned sardines vs canned tuna are popular question asked by so many seafood lovers who like to eat canned fish. Of course canned is the best alternative for fresh fish because they are way cheaper, simple, and available widely. 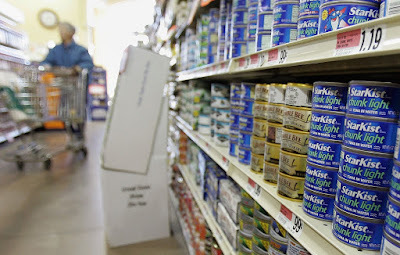 You can grab canned fish so fast at your local grocery stores or supermarket. More importantly, they have longer shelf life than fresh or frozen fish due to the preservative. The problem is there are a lot of canned fish options at the market with so many brands available. But today, we are not talk about which brand is the best; instead we want to talk about whether you should select canned sardines or canned tuna. Actually, it depends on personal preferences. Some people love tuna over sardines because they are not as fishy as sardines. However, other might select sardines instead of tuna due to the lower mercury. Of course, we can blame tuna for being a predatory and bigger fish than sardine this they are also highly contaminated by mercury. Despite that fact, people still love to eat or consume tuna fish. When they are bored eating tuna, they will select other fish including sardines. When we are talking about canned sardines vs canned tuna then we need to compare them on several points. Sardine is usually used for alternative of canned tuna, sardine is healthier than tuna and they are cheaper. Although tuna is more popular, however sardine can do its job when replacing tuna in many recipes. If you want to have healthier food then you can replace the tuna with sardine in some of tuna recipes. Some people might avoid eating sardines due to the fishy smell. However, sardines have really great taste especially if you know how to mix it with other seasonings to make the fish less fishy. Sardines also have soft textures; the meat can break easily with fork. In other words, tuna has firm texture, it also has nice taste and it is one of the most popular canned seafood in the world. Both tuna and sardines packed with almost similar nutrients including protein, minerals, and vitamins. 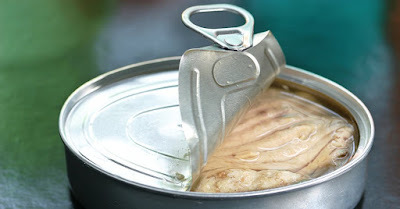 Let’s learn about them in more details including canned sardines vs canned tuna mercury. Tuna and sardine have nutrient from omega-3 fatty acids. This fat is a good fat that human body cannot produce. Omega-3 support brain function and it lower cardiovascular disease risk. For your information, about 6-oz portion of canned sardine offers around 2.4 grams of omega-3 while tuna offers 1.5 grams per serving. Yes, sardine is higher in omega-3 than tuna, but they both are good source of omega-3 for your diet. You can replace them one to another in a week for variety. If you want to increase protein intake then you can choose either sardine or tuna or perhaps both of them. A 6-oz portion of canned sardines in oils provides about 41 grams of protein while in the same portion of canned tuna; it provides higher level of protein which is about 49 grams. Protein is really important when you go on diet. Protein can be used to fight infection and it also helps you to build muscle. Both of the fish meats contain vitamin E, however sardines have higher level of this vitamin compared than tuna fish. Furthermore, sardine offers more calcium than tuna. The vitamin E plays an important role to promote new red blood cell and it also good source for antioxidants to fight against tissue damage. Calcium helps to strengthen your bones and it helps good communication between the body cells. Since they are fish, of course they will contain sodium; however sardines have more sodium level than tuna fish. So, when you eat these fish, you better not add more salt to avoid over consume sodium. About 6 ounces of canned sardines can increase sodium intake by 859 milligrams while a canned tuna with the same portion offer 602 milligrams. If you do not know the reason of why you need to limit your sodium consumption is because too much sodium can strain the kidneys since they need to work extra hard to remove excess sodium in your body system. Meanwhile, too much sodium can increase the risk of cardiovascular diseases as well. Canned sardines vs canned tuna have delicious taste and flavor. Both of them packed in many different styles including in oils, water, and brine. Of course there are other packaging styles with additional seasonings to add more flavors. If you concerned about the mercury level in the tuna fish, then you can always option for sardine. Pregnant women can replace tuna with sardine which is low in mercury; however they still need to limit the amount of consumption. Many suggest people need to limit their consumption of tuna based on their body weight. If you still insist to go with tuna, then it is better to select light tuna meat (skipjack and yellowfin) instead of white meat (Albacore). Light tuna meats contain lower mercury than Albacore or white meat. And it is also recommended that pregnant women avoid fish with high mercury. If you are ask is tuna and sardine the same thing then practically both of them are fish, however they have different amount of nutrients, mercury, and sodium levels. Moreover, they also taste different. Canned tuna has lighter flavor than sardine plus you can say they are more versatile in many recipes. But, if you concerned about the health, then we suggest you need totally pick sardine over tuna. Sardine is more sustainable with lower mercury and moreover, they offer soft bones which can be consumed which is a good source of calcium. Meanwhile, tuna is farmed in many places and not just being caught in the wild ocean. So, tuna is not nearly as healthy as sardines Fish. That’s it about canned sardines vs canned tuna, hope you get some basic information about them in this article. Sardine is a small fish in size compared with other fish such as tuna and salmon. This is why sardine is a good option to be produced as canned product. Indonesia itself is one of the largest sardine producers with various canned sardines style available sold in the market. Canned sardines manufacturers Indonesia sold their product worldwide for many countries including America, Australia, Europe countries, and other Asia countries. This is proof that Indonesia sardine suppliers are good choose when you look for sardine suppliers. There are manufacturers that using machine to produce the canned sardine, although there are still some suppliers processes the sardine manually by hands. Canned sardines have been known since long ago till now. Maybe some people think that sardine is a really fishy fish compared with other oily fish, however sardine is a small fish that can be enjoyed because it has fine taste and soft texture. 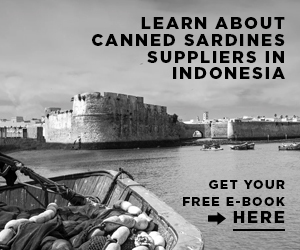 Here is some info regarding how the suppliers manage to produce canned sardines in Indonesia. Trying to look for canned sardines manufacturers Indonesia that deliver nice quality of sardine fish? There are many factories that produce and deliver sardine in cans. 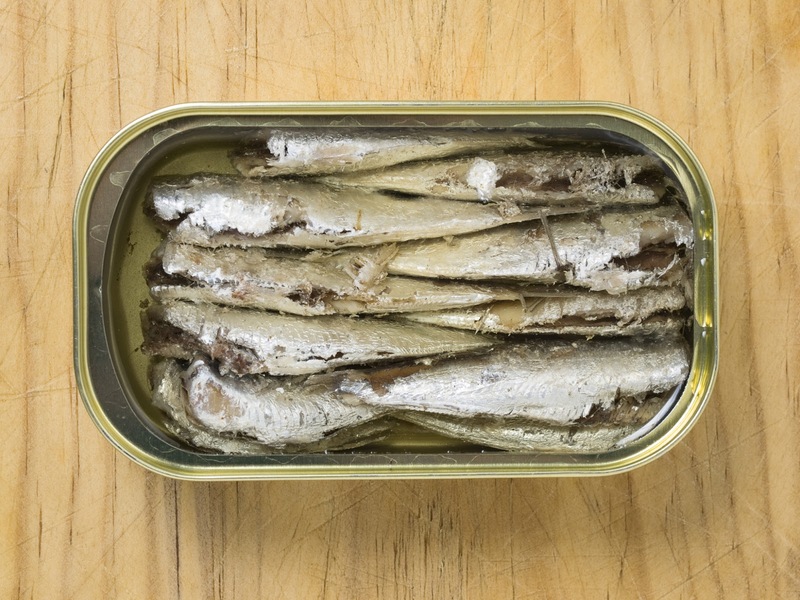 The process of making sardine into meat in the can is not that simple. Sardine appears in little cans on the grocery stores or market’s shelves where most of other canned fish product being sold. Fortunately, sardine is a small fish with abundant stock thus there is no worry with overfishing problem. Sardine is a little fishier than other fish, but that’s not a huge deal because sardine offers nice fishy smell with soft texture and very tasty flavor. Usually after the sardine is caught, they are immediately frozen in ice box or refrigerator. In other words, they are being pre frozen at the sea. The sardine and the packaged properly and delivered to the facilities where the inspector will check each fish during unload. The personnel will inspect the condition of each sardine before they are going to the next process. Bad fish will not be accepted to the next step and the frozen fish will be thawed under certain conditions. In this process, there are many steps are happen to make the raw sardine fish edible for consumers. The fish will be cleaned by removing the gut before they enter the pre cooking machine. The fish is cook with set of time and temperature. And after that, they are handled to be cleaned once more. The machine will receive the sardine fish to remove the head, tail, and other remaining residues. The cans are cleaned and sanitized before being filled with the sardine and liquid. 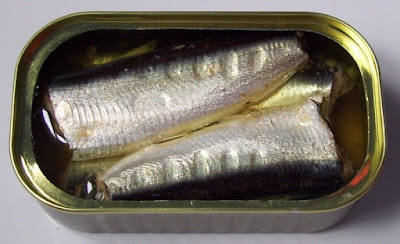 The prepared sardine head to the conveyor belt to be placed in the clean cans. 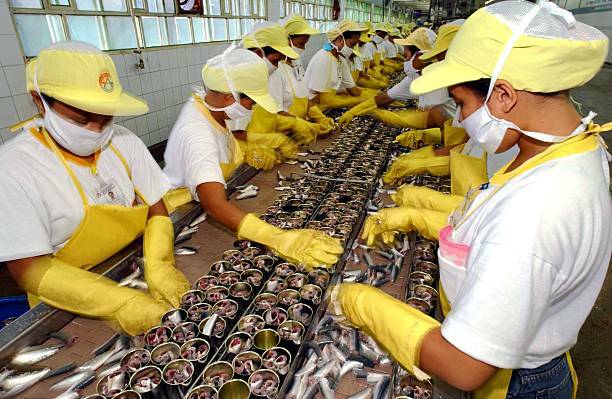 The workers will count out the correct number of sardine per can and then fill them by hand or manually. 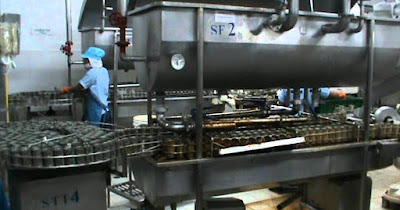 The filled can will be run on conveyor belt head to exhaust box which steam cook them while also remove the excess oil. 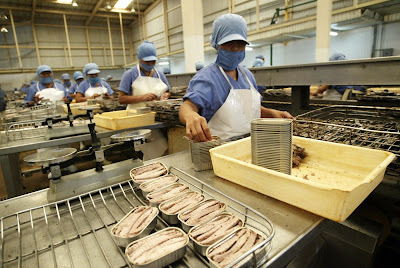 Some of the canned sardine is smoked while others are going to other conveyor belt to receive additional flavors and ingredients. This is called the packing styles. The canned sardines come in various styles including sardine in tomato sauce, sardine in oils, and many more. After that, additional machines will vacuum sealed the cans and place lids on them. The cans are sterilized in this process to remove the harmful bacteria. This is called pressure cooking stage. When the cans out and cooled down, machines will apply labels with some information about the product including the packaging styles, weight, codes, identification labels, etc. And inspector will come to see and check the condition of the canned sardines. It is such an important canned sardines manufacturers Indonesia process since the selected personnel will determine whether the sardine is edible, safe, and ready to be sold in the market. However, the inspector will not inspect each can instead they will select few samples and check for any damages that might occur before the cans are shipped to many stores. Why you should eat sardine in cans? This humble little fish surprisingly offer many benefits for the consumers. They are very nutritious and healthy to be eaten. The most important point of why you should eat sardine is because it contains lower mercury compared with other bigger predatory fish such as tuna and salmon. Yes, the sardine is really small in mercury level because they are one of the lowest rank fish in the oceanic chain. Sardine is also full of protein, this protein provide us with amino acids. Human body uses the acid to produce new protein which is the foundation of our body cells. Protein is also important to build muscle and to improve antibody as known as immune system. Moreover, protein helps to deliver nutrients and oxygen thorough the body as well. Why canned sardines made in Indonesia? Why you need to order and buy from Indonesia sardine suppliers? Well, it is because they produce the canned sardine in such nicely process to ensure the safety of their product. They are also offer high standards when produce the sardine. Furthermore, Indonesia using sustainable methods when catch the sardine which will not harm other ocean animals including overall environment. - Ask their overall track records with other customers. Contact canned sardines manufacturers Indonesia for more information regarding sardine products and the market price as soon as you want to order sardine in can. 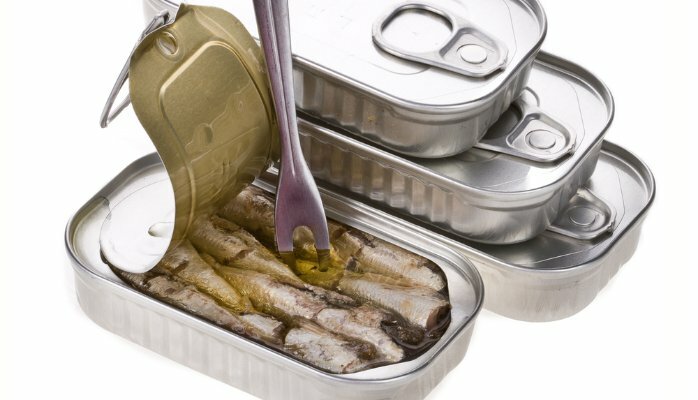 Are Canned Sardines Healthy for Your Body? There are so many reasons of why you should eat sardines and the first one is because canned sardines healthy for your body. Sardine is maybe not first seafood that pops out from your mind when you want to eat some fish. Of course there are many other options and more popular like tuna or salmon especially in countries like USA or Japan. However, you will never regret having sardines once for a while especially if you want some varieties in your seafood menu. Sardines are often called as the healthiest fish and of course one of the most budget friendly seafood. In fact, sardine contains so many healthy nutrient which is good for your body and this is mean not only the omega-3 fatty acids but also other minerals and vitamins that available in this tiny oily fish. We know that despite canned sardines healthy and good for your body, some people cannot stand it due to the strong taste and strong smell compared with other fish. However, there are many reasons of why you are going to love sardine and you might be more convinced after read below information. A 3-ounce serving of Indonesia canned sardines healthy for your body since it already contains 21 grams of protein. Although it also contains 177 calories but it is important for your body to work properly and give energy. There are also 10 grams of fat which only about 1.3 grams is unhealthy saturated fat so that’s not a big issue. Meanwhile, sardines offer high level of omega-3 fatty acids about 835 mg per serving and that level is higher than the recommended minimum of 500 mg omega-3 each day by American Dietetic Association. This fats help to lower cardiovascular and heart diseases plus improve brain works and function. It also lowers your risk to get Alzheimer's disease. Eating sardines are also a simple way to gain minerals needed for your body. 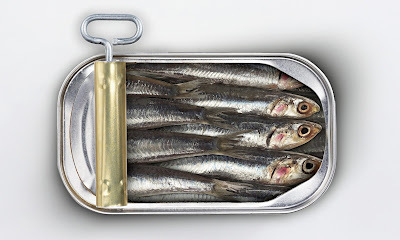 A serving of sardine can offer 2.5 mg of iron, 325 mg of calcium, 417 mg of phosphorus, and other important minerals. Iron is useful to help form red blood cells to carry oxygen while calcium helps to keep your bones strong and healthy as well as keep your muscles to work properly. Moreover, the phosphorus is required to enhance and maximize your heart, kidneys, muscles, and nerves functions plus keep them healthier. A serving of sardine contains so many essential vitamins such as 0.2 mg of riboflavin, 164 IU of vitamin D, 7.6 micrograms of vitamin B12, and 4.5 mg of niacin. This is why we said canned sardines healthy nutrition is good for your body since the vitamin B12 helps to keep your brain work properly and form red blood cell plus DNA just like the iron. Furthermore, the niacin helps to improve body circulation and turning the food that you eat into energy. Riboflavin is required to form nervous system function and red blood cells. Last but not least is the vitamin D will improve your immune system and helps to absorb calcium so it can be used properly by your body. In conclusion, you certainty NEED canned sardines once for awhile because our body cannot produce omega-3 and sometimes we need some variation in our foods. Sardines fish can be cooked with so many ways thus it can be served as tasty meals for you. Although there are good and healthy for your body, however you still need to limit your consumption of sardine since they can be a high in sodium content. But, you do not need to be worried with the mercury content because unlike other bigger fishes such as tuna or salmon, sardine is a small fish that contain few mercury amounts. This is means that you can still eat sardines up to 12 ounces per week. More reasons why you should love to eat sardines! 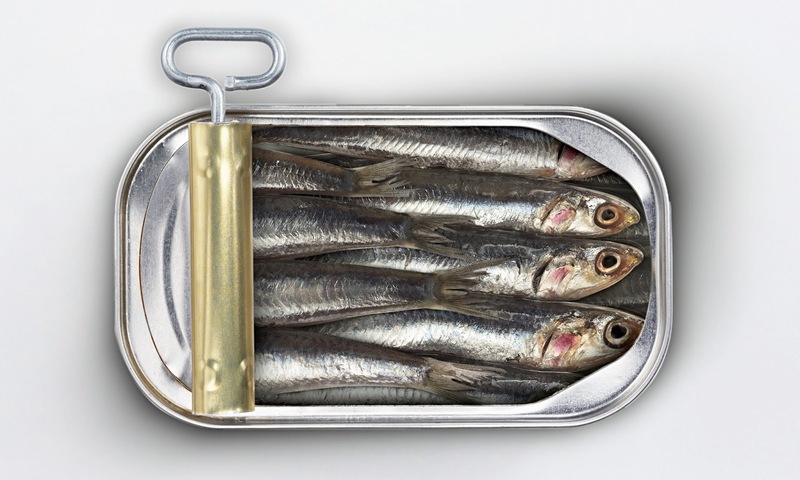 Just like we mentioned earlier, sardines are low in mercury because this fish is low in oceanic food chain. Mercury contamination is really lower than bigger predatory fish. Sardines are abundant in stock and they are also well managed. This is why sardines are categorized as one of the ‘Best Choices’ seafood by many people. If you want to have good and healthy seafood but with cheap price then pick sardines! In the market, sardines are sold in really affordable prices unlike tuna or salmon. Sardines are among the inexpensive seafood after all. 4. They are taste like fish and very delicious! Who said sardines are not delicious? They are sure very delicious! Moreover, sardines are taste like fish: they are oily, they are fishy but with nice smell, and they can be cooked into many tasty dishes. Of course canned sardines product is giving you a simple and easy consumption anytime and anywhere. You can eat sardine while camping as delicious sandwich or if you want healthier food then you can make a salad with sardine meat. The fresh sardines are also really simple to be prepared since their size is small. 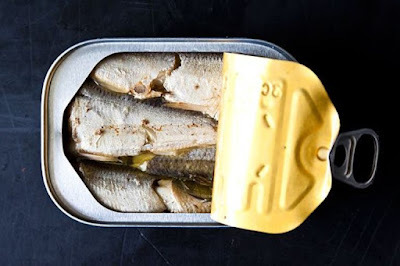 Now, you know why you need to eat canned sardines healthy product by selecting good canned sardine brand in the market. Eat sardines are good for your healthy diet and if you really concerned with the mercury level of most fish then you do not need to worry when eating sardines. You can find many healthy recipes with sardines as the main or side ingredients. If you never eat sardines before then we recommend you get sardines in oils instead of water, because the oils seem to improve the taste of the sardine fish. And most of grocery stores display canned sardines healthy product with other canned fish like tuna. You better buy them bulk to get cheaper prices, just saying. We are Canned Sardine Supplier direct from Canned Sardine Manufacturer Indonesia. Ready to Supply Canned Sardine Tomato, Canned Sardine Oil, etc. 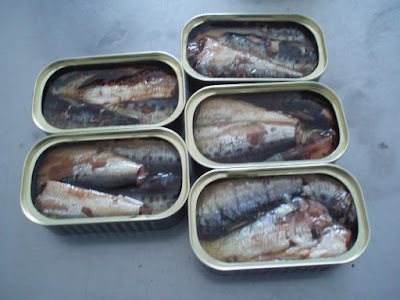 In Indonesia, Canned Sardine Supplier is very much, but we need to find trusted seller. Our Canned Sardine Manufacturer Ready to provide high Quality Canned Sardine with Competitive Price. 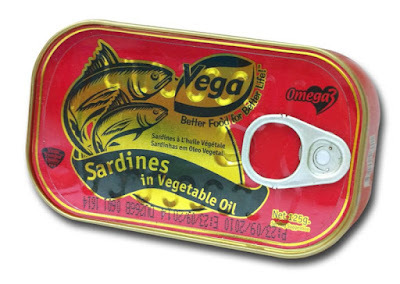 Canned Sardine Supplier Indonesia has many Sardine Product Likes Canned Sardine vegetable Oil or Canned Sardine Tomato. Best Seller Canned Sardine Supplier is Canned Sardine Tomato because Canned Sardine Tomato is easy to cook and very delicious. The Canned Sardine Tomato can cook with Tomato, Chili, etc. It's very easy to cooking. The Canned Sardine Oil is more hard to cook but more healthy because Canned Sardine Oil not add many chemical food grade. If want get Original Sardine fish, we can choose Canned Sardine Oil. In Indonesia Canned Sardine Manufacture has many client because Canned Sardine is one favorite food for Indonesian People. 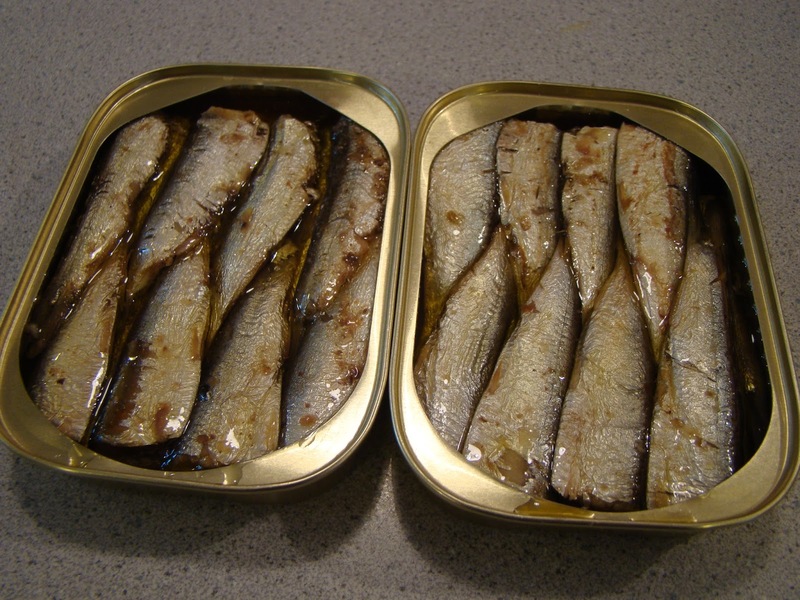 With Much Production from Canned Sardine Manufacture, The Canned Sardine Manufacture can give great price. 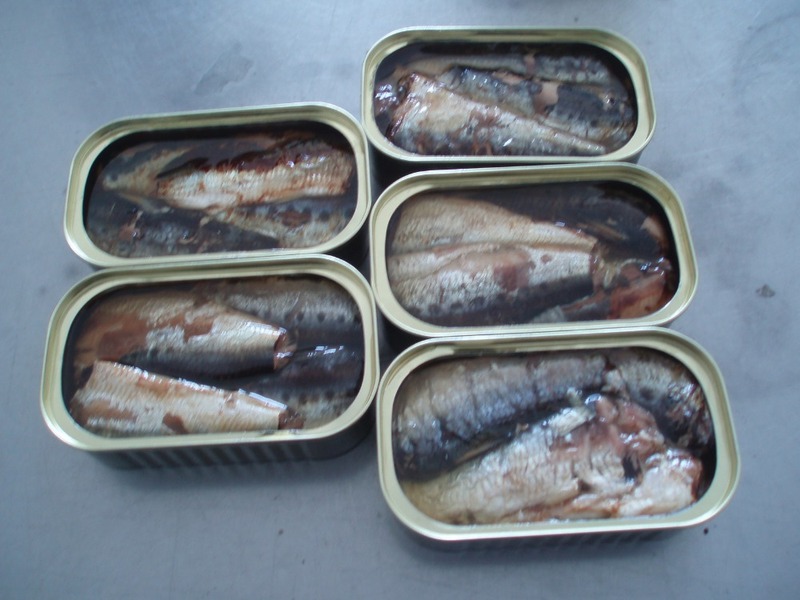 The Canned Sardine Manufacture is adding some chemical food Grade to keep Sardine can survive for long time. To find great Canned Sardine Manufacture, we need to find experience Company in Canned Sardine Supplier for export. Best Canned Sardine Supplier will make Our Order safe, best Quality, Know about Regulation, etc. 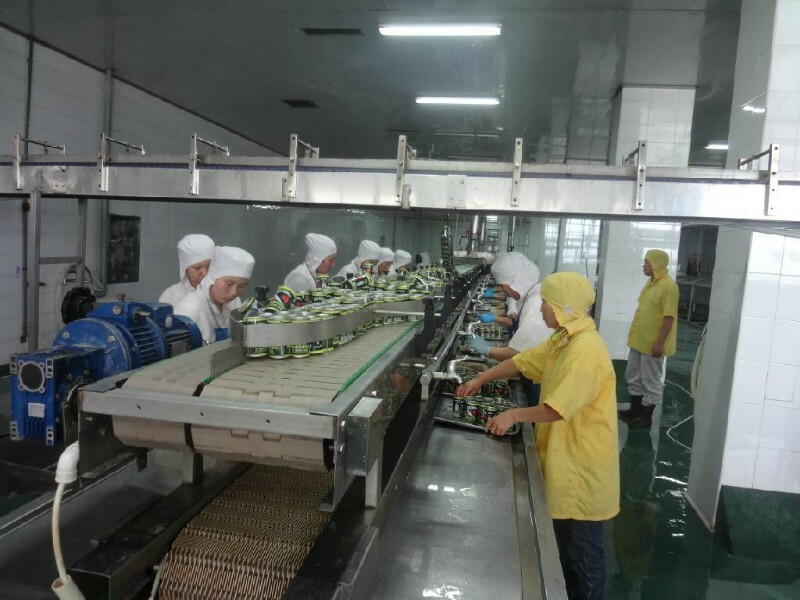 To know More about Our Canned Sardine Manufacture, Please don't hesitate to contact Us. That's all our Profile Canned Sardine Supplier - Manufacturers Indonesia - Canned Sardines Tomato Oil. 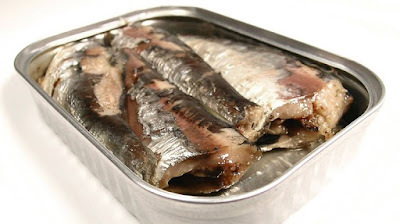 Get Many Information About Canned Sardine Supplier and Many Tips.